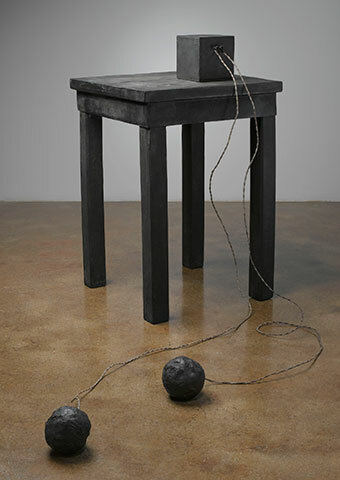 The second in the Museum’s yearlong series of major installation works by important postwar figures, Joseph Beuys features the monumental environmental work, Blitzschlag mit Lichtschein auf Hirsch (Lightning with Stag in its Glare), 1958-1985, along with selected multiples that extend the installation’s conceptual framework. One of the most controversial internationally known German avant-garde artists of the postwar years, Beuys (1921-1986) was an influential theorist and teacher for several generations of European artists. Provocateur and political philosopher, Beuys worked across mediums—from drawings and sculptures to “happenings” and conceptual art—in his effort to define a new societal model through art. The installation Blitzschlag … was first created in the 1982 seminal Workshop exhibition at Martin-Gropius-Bau in Berlin, and subsequently refined to embody ever more complex layers of meaning from the traditional myths and literature of Northern Europe. 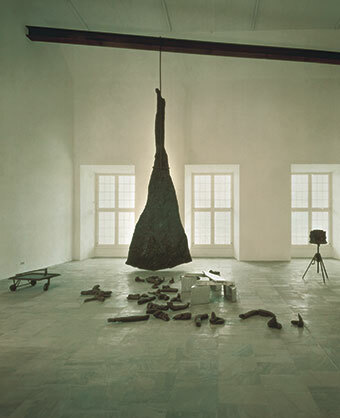 Beuys invokes the primal creative energy of nature with the work’s forceful bolt of lightning and use of the symbolism of the stag in northern mythologies as protector of primordial animals and a conductor of the soul to resurrection and redemption. Organized by the Portland Art Museum and curated by Bruce Guenther, curator of modern and contemporary art. Supported in part by The Paul G. Allen Family Foundation.